At Jurassic Bark Rescue our mission is simple, to save the lives of as many shelter animals as possible. We are an all breed,Giant/Extra large volunteer dog rescue. We pull the largest dogs, 90 lbs and up, out of local kill shelters immediately bring them into our home where we provide all veterinary care, rehabilitation, and socialization. While in our care, we evaluate each dogs personality and begin searching for the perfect forever home. We know this is an overwhelming task but we believe that through a community of volunteer rescues we can become a No-Kill nation. Jurassic Bark Rescue is s a 501 c 3 non-profit, tax-exempt, public charity . Love is now the reason I must go. Love is still the only dream I know. 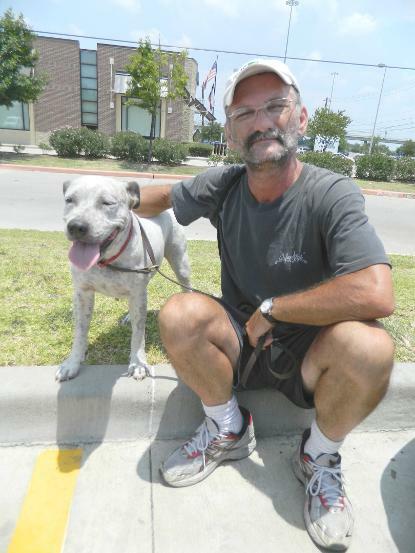 Jason and Lucky are homeless, Lucky is all Jason has in the whole world and he cried when we took her to get spayed. 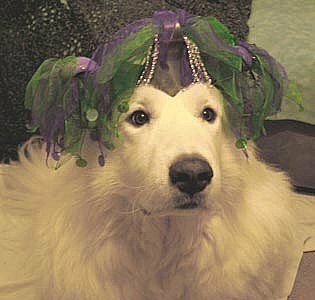 Seraph in his Madis Gras crown. Seraph is my 10 year old Great Pyrenees. He is my best friend and my constant companion. We have been through life together, the good parts and the painful parts. He has been by my side offering me unconditional love and acceptance. It is because of Seraph and in loving memory of my Wolf Hybrid Kuba that we formed Jurassic Bark Rescue. Every person should know the grace of such a relationship and every animal should have the safety, love and peace that Kuba had and Seraph enjoys. The thought that there are countless animals like Seraph and Kuba out there, on the streets, in shelters, being neglected, abused and killed led us to action. Our mission is to save lives and unite people and animals together. Our vision is to see a day where no animal is turned away, where all have a home and are safe and loved. In a continuing effort to help as many animals as we can. Jurassic Bark Rescue has begun our Hungry and Homeless Project. 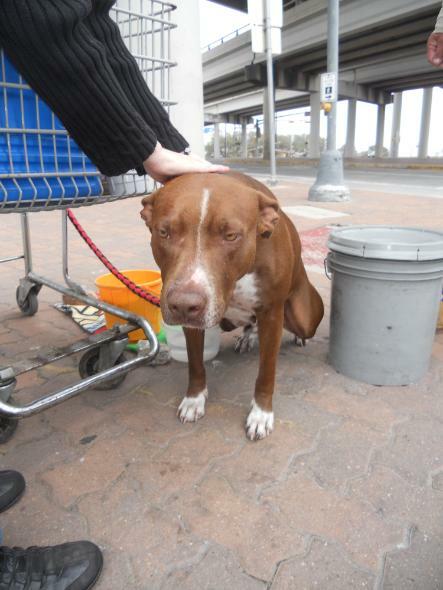 We are hitting the streets of Houston to find homeless people with dogs. We are delivering food, water, treats and over the counter medication. We have asked all of our FaceBook friends and fans to post locations as they are driving around town so we can find as many people and pets as possible. We have had a tremendous response. 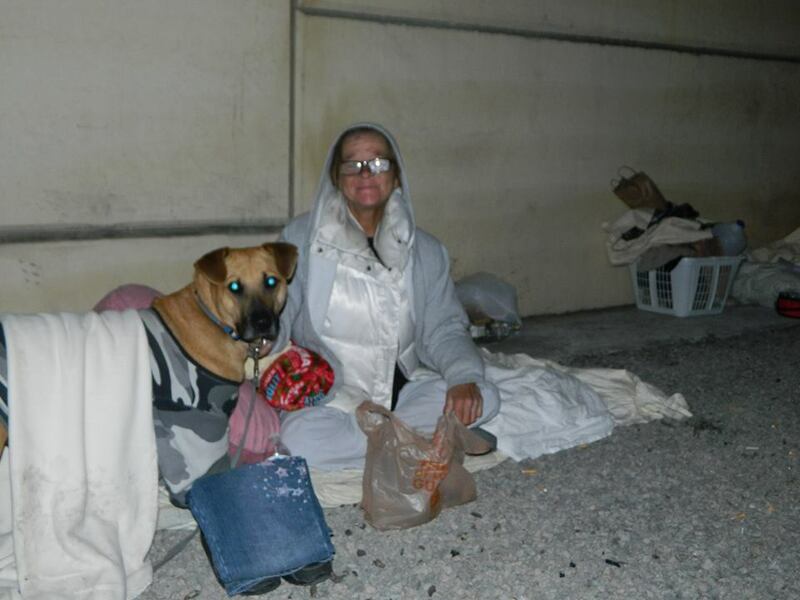 We also go Downtown to the tent cities and under the bridges looking for people that no one ever sees. These people are devoted to their animals, we want to help.